Whimsical Wedding Photography for the joyful bride in Central PA, Bloomsburg, Lewisburg, Selinsgrove, State College, Williamsport, Poconos, Lehigh Valley, Lancaster areas. Nicole also offers limited wedding photography services in the Wilmington NC and Wrightsville Beach North Carolina. Iceland in February… it’s gorgeous. And unpredictable would be an understatement. If you’ve been living under a rock lately, you might not know that Iceland is a super popular destination as of right now for all types of tourists. You can score plane tickets for as little as $200 round trip if you play your cards right (ours were $300 with taxes out of Newark and we booked them less than 3 months out from our trip), making it a really tempting international destination for travelers looking for breathtaking scenery and adventure. I kind of planned this trip on a whim, mostly because I have a desire to travel and I often check out airfare to see if any deals are going on. I asked around with some friends, and two said yes, so the planning began! The winter months are much slower for me business wise, so it’s the perfect time for me to plan a little escape. Once I booked the flights, I wanted to get busy planning the trip, but I had a difficult time really finding a ton of information on what to expect for Iceland in February. Of course I knew it would be winter, which was ideal for me because I was hoping to catch the Northern lights and also wanted to see the Ice Caves, both things that you can only do during the colder months. We’ll start with the cons of Iceland in February (I promise this is NOT a negative blog post, but there are things you should know if you plan a trip to Iceland in the winter, particularly in February). The weather is incredibly unpredictable in Iceland in February. I had read all over that ‘if you don’t like the weather in Iceland, wait five minutes’, meaning the weather changes rapidly. This wasn’t really the case for us, but I did learn that the weather is very intense and extremely unpredictable. The week before we arrived, they experienced tons of rain, and the week we were there, lots of snow. We landed after an overnight flight during a harsh storm with high winds, in the darkness of the early morning and had a very long day of driving ahead of us. I have a lot of experience driving in the snow, and never get nervous about driving in winter conditions, but the weather upon landing was daunting, even for me. Fortunately, after about an hour or two of driving, the sun began to rise and we seemed to be ahead of the storm. It was pretty much smooth sailing from there for the remainder of day 1 and we had great weather until we reached our Guesthouse for that night and the weather started to decline again. My biggest recommendation here is to plan extra days into your winter trip in the event of bad weather. Our trip was only 3 nights (4 days) and we completely lost one day due to a blizzard, and had to book a hotel in a completely different area of Iceland than where our actual reservations were originally scheduled due to road closings one day. Flights were completely cancelled that day as well, which could really affect a lot of travelers who aren’t prepared for the possibility of this happening during their trip, so do yourself a favor and just plan an extra day. If you’re wondering if we saw the lights… we did not. Unfortunately the weather was far too bad each night for us to even have a chance at seeing them. I’m honestly still a little bit bummed about this, despite knowing that lots of people visit Iceland and do not get to see the Northern Lights. I guess this means I’ll need to go back and try again! Some things are REALLY touristy, even in February! I can’t imagine traveling to Iceland in the summer, because even in the ‘off season’ many areas were teeming with tourists! One of the reasons I love to travel (particularly in off seasons) to new places is to enjoy nature and another culture. I typically prefer landscapes and breathtaking views to city life, as I treat my travel as time to reflect and learn. It’s sort of cleansing in a way. With Iceland being such a heavily visited area right now, it almost takes away from the beauty of the place. If you’re like me, I think staying away from the areas where all of the tour buses go will be your advantage. I had to work extra hard to get shots of some of the busier places that didn't have tons of people in them, so I tried going away from the crowds and finding my own space to view the scene... like by the road! Of course there are some things that I just had to see, like the black sand beach, but we only stopped for very short periods of time at the larger waterfalls like Seljalandsfoss and Skógafoss. Although it was on our original itinerary, we completely skipped the Golden Circle stops (honestly due to the blizzard), but I don’t even regret not seeing them. Renting a car was absolutely the best decision we made and worth every penny to travel on your own pace. The time in the car and the views we were able to see while driving were much better than being bussed around to locations with hundreds of other tourists. Iceland is a very safe country to travel in… except the weather and drivers! One of the most common comments I received were from people concerned about the safety of three girls traveling abroad. I honestly felt much safer in Iceland than I have in many American cities. For the most part, English is spoken at least in part by everyone we came into contact with and the country itself and even capital of Reykjavík were extremely easy to navigate. With that said, I’m going to talk about the weather again. The only unsafe thing about the country was the harsh weather and the drivers. We had a Ford Focus wagon (not a 4 wheel drive vehicle) and we witnessed more accidents than I care to count. Most of the accidents we saw, involved 4 wheel drive vehicles, which leads me to believe either these folks have no clue how to drive in snow, or they thought they could push the limits more because they were driving those vehicles. Either way, it was honestly downright scary to be on the roads for portions of the trip. We drove through a blizzard one day which led to the main ring road being closed, and had to take an alternative route along the coast through an area with volcanoes and a view of the most amazing roaring sea during the storm. I would visit that area again in a heartbeat because when we could actually see more than one foot in front of the car (i.e. when it wasn’t a whiteout due to the wind and snow whipping horizontally at gale force) it was magnificent. So if you’re heading to Iceland, take route 427… it won’t disappoint! Oh, and when I say blizzard and you think you know what I mean, you probably don’t. It was difficult for me to even get out of the car and stand without falling over and we literally could not see a road at all at times and were driving in a caravan of cars all trusting and praying that the car in front of us was actually on the road, because the only things we could see were potentially some tail lights from time to time, if we were lucky. I often hear people say they can’t afford to travel. One of my tips for that is to check out guesthouses and hotels with shared bathrooms. Fortunately, Iceland has tons of them! We booked stays at two farm guesthouses and one guesthouse in Reykjavík, although on night two we weren’t able to make it to the guesthouse we had booked and had to book a hotel room last minute in Skaftafell due to the blizzard and road closings. On night 1 we stayed here and loved it! The owners were young and the space was very clean and inviting. Breakfast included homemade waffles and I would definitely stay here again! For our last night, we stayed at Sunna Guesthouse in Reykjavík and it was also great, with a perfect location that was walking distance to everything we wanted to explore. Each place we stayed included breakfast which was the perfect way to start the day and helped to keep food costs down. I also think that staying in guesthouses helps add to the experience of traveling. I’ve stayed in hostels before too, and am never opposed to those types of things if I want to travel somewhere and don’t want to blow my budget on hotel rooms that I won’t even be spending any time in. This was worth every penny. This is probably my favorite excursion I’ve ever been on and was completely amazing from start to finish! I always struggle with what to book with a tour guide and what to do on my own when I travel, and I really only like to splurge on one excursion most of the time. This honestly cost as much as our flights but I would book this again in a heartbeat and highly recommend it to anyone traveling to Iceland in February or the winter months. Be sure to book early, as these typically sell out and there are less available than the shorter, more popular and less expensive tours. Find all of the details of the specific tour we did here. The caves we got to see were large and not crowded, and the views were unparallelled. The hike on the glacier itself was equally as awesome as going into the caves! This was my favorite day in Iceland and I think provided me with a taste why so many people love exploring this country so much. Pictures don’t even do it justice. It was a full day of adventure and our guide helped us with much more than just a hike. We went on this trip knowing that a blizzard was coming, and he helped get us safely back to the headquarters before the roads closed and even assisted in helping to find every person accommodations for the night who needed them. I will never forget this experience! Renting a car was one of the best decisions we made, despite the weather conditions and closed roads. We spoke to some people who did not rent a car and were at the mercy of tour busses. Due to the weather, many tours were cancelled meaning they were literally just stuck in Reykjavík for the entirety of their trip. Renting a car is of course an expense, but in my opinion it’s always worth it. I love to just be able to travel freely and on my own schedule, rather than relying on public transportation schedules or tour bus options. Plus, by the time you add up all of those tour fees, you would honestly probably come close to the cost of renting a car. Since we were able to split the cost 3 ways, it was actually a less expensive option for us and driving was half the fun (when I wasn’t white knuckling the steering wheel). A tip is to be sure your designated driver knows how to drive standard. Automatic transmission vehicles are more expensive to rent (and harder to come by) so we saved some money just by renting a manual transmission vehicle. Þrír Frakkar in Reykjavík was a great way to celebrate our last night in Iceland with some traditional Icelandic cuisine! I actually heard about this restaurant on the Travel Channel and knew we had to check it out! We didn’t eat out during our trip at all aside from this meal, and instead opted to buy some noodles and pre-made sandwiches and wraps for lunches and dinners at the grocery store. We saved the best for last, and had a really great meal at this restaurant on Sunday night. We were able to walk right down the street from our guesthouse to dinner which was super convenient. We looked like a mess after traveling in a blizzard all day, but were greeted by a friendly server who offered a space to hang our coats and a cozy table in the corner to enjoy our meals. We didn’t have a reservation and were the first ones in for dinner shortly after 5PM, but by the time we left the restaurant was filled. Definitely make a reservation or arrive early if you want to eat here! The fish soup as an appetizer, hashed fish and black bread for an entree, and Skyr brulée for dessert are my top recommendations! One thing so many people seem curious about are the geothermal pools in Iceland! They are pretty cool, and on day 1 we visited the Seljavallalaug Swimming Pool. It’s a hike to get to, but it’s a beautiful hike, and it’s completely free! Good thing, because it’s not very warm. If you enter on the far end where the water comes in, it’s much warmer than on the end closest to the changing rooms. Keep an open mind about this one… it’s a little rough around the edges but it’s a great experience and you just have to get in and do it. We had plans to visit other pools, but unfortunately the blizzard limited our travels and the only other place we got to visit was the Blue Lagoon right before heading to the airport to catch our flight home. This was the perfect way to end our trip and I wouldn’t recommend doing it any differently. I would never want to waste an entire day taking a bus trip to the blue lagoon, personally, but spending an hour or so here before catching a flight was super relaxing! I’m not sure this is something that I would feel necessary to do if I went to Iceland again, but I do think it’s one of those things you just have to do at least once. Just be sure to purchase tickets well in advance to get the date/time you want. Well, this is a hard one without getting super all philosophical and somewhat crazy on you… I think that the main reason that I love to travel is that I love learning about the history and culture of different regions, and I have a huge desire to see different parts of the world. We live on a fascinating planet and I can’t possibly learn about it and truly experience it through a textbook or television show. Each time I travel I also experience something that’s difficult to put into words. It leaves me wanting less, to experience more. I’ll have to write about this in a future blog post, but I think that my biggest takeaway from travel is contentment and learning what is truly important to me. Since I don’t travel luxuriously, I find that each time I come home wanting less, with a desire to purge the ‘stuff’ in my life. I would encourage anyone who wants to travel to just get out and do it. It doesn’t have to be costly, and adventures await everywhere! You don’t have to take an international trip to experience some of these same feelings… head out to your local state park and camp with your family or enjoy a day of hiking with some friends. Just get out and do it! To see more travel photos, be sure to check out my travel gallery! Nicole DuMond Photography specializes in whimsical wedding photography for the joyful bride. Nicole DuMond specializes in Central PA wedding photography serving Bloomsburg, Lewisburg, Selinsgrove, State College, Williamsport, Poconos, Lehigh Valley, Lancaster and Philadelphia areas. Nicole also offers limited wedding photography services in the Wilmington NC and Wrightsville Beach areas as well as destination wedding photography services on a case by case basis. 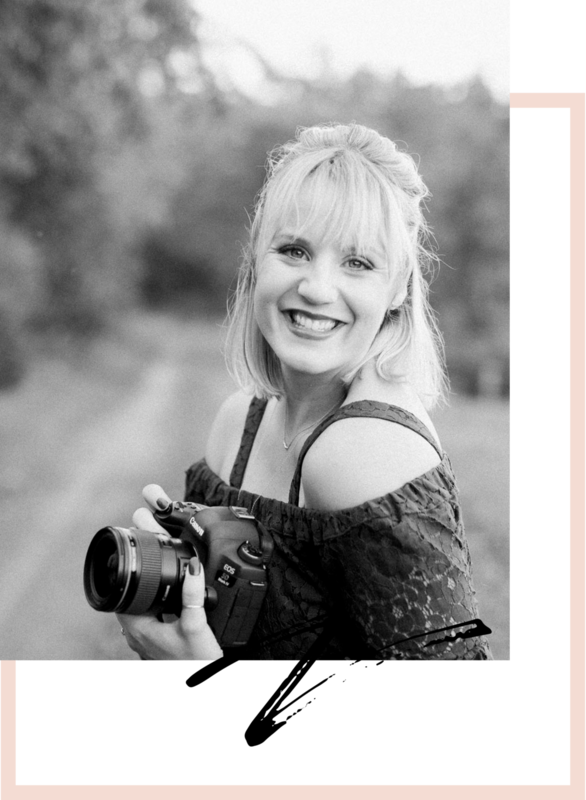 Nicole DuMond is a wedding photographer based in the rolling hills of Pennsylvania farm country! Click the photo below to read more! Nicole DuMond specializes in Central PA wedding photography serving Bloomsburg, Lewisburg, Selinsgrove, State College, Williamsport, Poconos, Lehigh Valley, Lancaster and Philadelphia areas. Nicole also offers limited wedding photography services in the Wilmington NC and Wrightsville Beach areas as well as destination wedding photography services on a case by case basis.